The below table illustrates the sync behavior of different tools available in modusCloud. The Azure Directory Sync and Active Directory Sync tools are used to allow customers to sync user accounts from their Active Directory or Azure Active Directory environments. 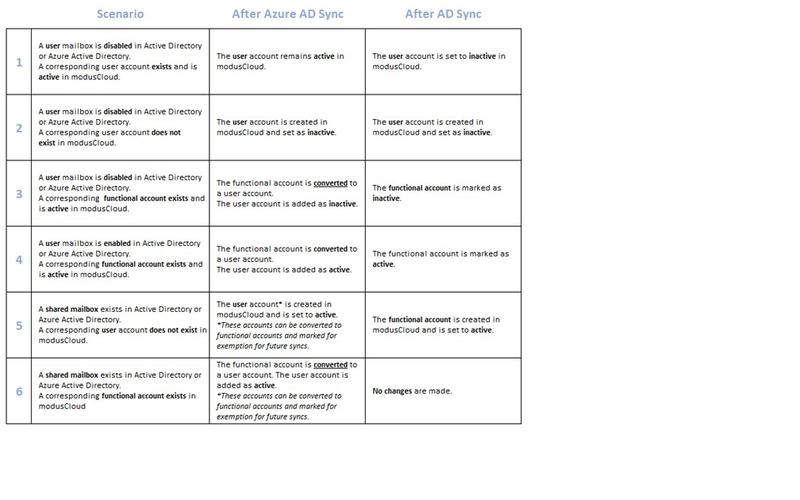 Due to some differences between these directories, there are differences in how modusCloud handles user account syncing.